With the economy in the doldrums, and unemployment reaching highs not seen in decades, people are hurting all over Nigeria. With reduced incomes comes the necessity to cut back and get by with less, to reduce, re-use and recycle the things we have. While getting by with less is great, you don't have to completely do away with everything. There are a lot of easy (and crazy!) ways to reduce your spending and save money every month especially when you have plans to start a new online business. Today I thought I'd put together a nice long list of easy ways to save money every month on recurring expenses, on money leaks and on just about everything else. So let's get started. 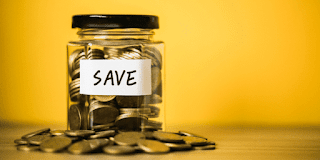 One of the first places people should be looking to save money are on the big recurring expenses that we all have every month. Let's look at a few places you can save. Try switching your internet service to another provider in order to take advantage of new subscriber deals or promotions. Switch from one internet type to another – DSL to cable or fibre-optic internet. Switching can often get you great initial deals, and then you can hop providers to get another great deal when the promotion ends (sweet right?). One of the first things you must do is to ensure you get a prepaid meter for your electricity, a lot of people pay more than three times their monthly electricity consumption because of estimated bills. After this, you need to cut back on how much you power you use to limit costs. When you're not using something, turn it off or unplug it. Look for energy leaks in your home by getting a home energy audit, and find ways to maintain your home to cut costs – like cleaning your AC condenser coils or changing furnace filters regularly. There are times when money just tends to leak away because we've always spent money somewhere without thinking about it, or because there are hidden costs that we didn't even realize were there. Here are a few to be aware of, or to look for in your own house. I'm using coffee as an example here. Normally, I just buy things like puff puff and other snacks before or after work. Every one of us is guilty of this one. I buy snacks just once in a while and I realised it saves me a ton of money every month! There are certain things we spend money on out of pleasure. That new phone (no, you do not have to change your phone every three months), new Beats Headphones, etc Whatever your hobby, you can often spend a ton of money every month on buying the latest and best associated with your hobby. You don't need to cut it out completely, but cutting back on how much you can spend can save, and you'll have more money for other things. At our house, especially for those bachelors and spinsters, our dining out budget is one of our biggest problem areas. Just by cutting the number of times we eat out in half can save us a lot of money! You don't have to buy drinks at every opportunity, those things cost you a lot of money when you finally calculate how much you spend in a month, you will realise that money will be better spent on something more productive. Quite often people will buy brand names just because they have always done that. In reality, the generic brand is often just as good or even better than the brand name item. When buying provisions and foods, think about what types of things tend to go bad at your house, or that end up spoiling before you eat them. Buy less of that item, or cut it out all together. Here are some more ways to save that you may not have thought of. This may seem like an obvious tip on how to save, but it's something that not a ton of people do. Just keeping track of where your money is going has a tendency to help you realize a lot of areas that you can save. Instead of going to the car wash and spending some extra bucks, you can just wash your own car! If you're handy with all things automotive, change your own oil to save on a trip to the mechanic. Maintain your own home appliances with help from the internet! Are you a smoker? Quit! It's better for your health and will save a ton of money. Drink lots of soft drinks? Stop! Drink more water instead. This list is just the beginning. Saving money can really become a way of life if you want it to be. You just have to be creative, have a reason and a goal for why you're trying to save, and think consciously about the decisions that you're making. The changes mentioned on this page may seem small when you look at them. The truth is, however, that the small changes listed here can be the basis of your financial security. Have your own ways to save? Tell us what they are in the comments! There are a lot of easy ways to reduce your spending and save money every month. If you will like to make some money, I can teach you with Affiliate Marketing, Just Click Here!